1849 Farm House su 40+ ettari con vista panoramica di Midcoast Maine. Completamente restaurato nel 2002. Guarda il sole sorgere e tramontare ogni giorno dalla cima della nostra collina. La strada finisce nella zona di Frye Mountain Game Management (5.240 ac). Accesso a ITS snow mobile e trail ATV dall'altra parte della strada. Goditi la tranquillità della fattoria o fai un giro di 10 minuti in auto a Belfast Maine o in 30 minuti in auto a Camden Maine. Acadia National Park è a circa 60 miglia di distanza. La cucina si apre sul ponte con vista sulle montagne. Camera da letto al primo piano con due letti singoli. Stufe a legna in sala da pranzo e cucina. Secondo piano ha bagno completo, lavanderia e 4 camere da letto. Due camere da letto hanno letti completi. Le altre due camere hanno letti queen size con due letti singoli in una stanza. Questa è una proprietà NON FUMATORI. I bambini devono essere ben sorvegliati. We selected Lone Elm Farm because it had enough room to house our two families who were attending a family reunion in Belfast. Everyone really enjoyed this property--we had plenty of room to have privacy, and plenty of room to be together inside and out. It was close enough to Belfast to meet up with our other family members and also in a good location to see some of the area sites that are in the Belfast region. It was easy to work with the owner and we would definitely stay here again if we return to the area. We loved seeing the cows on the property. Clearly this home is well-tended and well-loved. We had everything we needed to have a wonderful stay here. And the view from the deck was gorgeous! We had a lovely time at Lone Elm Farm. The house was very comfortable for six of us, including my two teens and my 83 year-old mother-in-law who stayed in the small bedroom on the ground floor. There was plenty of room to read and nap and make music, plus the pleasure of the large deck for gazing out over the fields and the Camden Hills. The kitchen was very well stocked and great to work in--everyone could hang out at the bar stools while I cooked. It was uncharacteristically hot for Maine, but the window fans kept cool air circulating at night, so we were quite comfortable. The farm is about 12 minutes from downtown Belfast--an easy drive to restaurants and shops, plus boat rides on the harbor. There's a general store about a mile away in the center of Morril, but not much else. For us it was a peaceful respite from city life. We spent four wonderful nights at Lone Elm Farm. The panoramic views are beautiful. At night you can see the Milky Way (and satellites) and we were lucky enough to be there to see a meteor shower--amazing. The house was very well equipped and clean-- we had everything we needed for our group of six. My children loved the property --plenty of room to run, roam and explore. 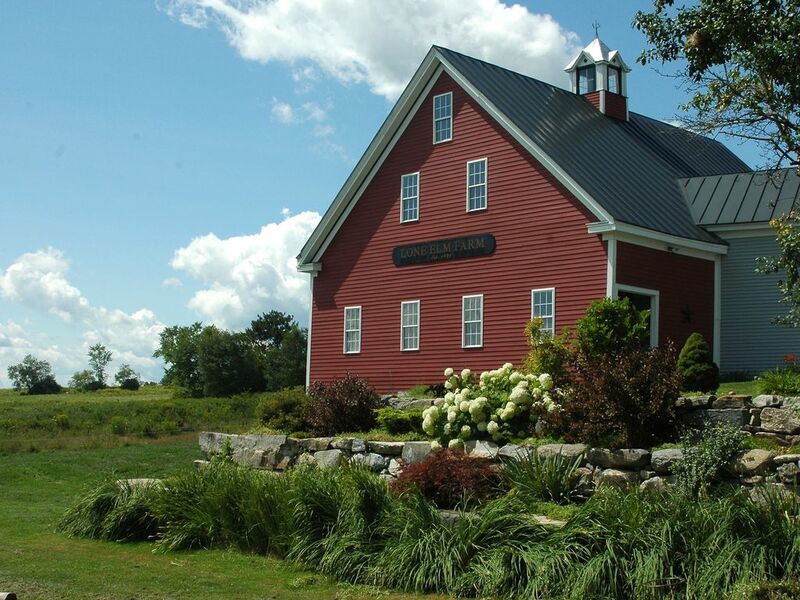 The location was terrific for our day trips to Camden, Rockland, the Penobscot region and even Blue Hill. Denise the owner was very helpful and we felt comfortable and welcomed in her home. Had an amazing stay at the Gorgeous Home, I did not want to leave, Reminded me of my childhood on the Farm, Wish the cows had been there, Walked the paths and got to practically come face to face with a good sized Buck, The sunsets were amazing as well as the sunrises, Def want to come back. thanks so much for your kind review! The farm has a special place in many peoples hearts! Lots of good memories have been made there! Thanks so much! Glad that you enjoyed your stay! What a fantastic place! We stayed here when visiting from California to do a memorial for our father who passed away recently. It was a very serene, very clean and spacious place for us to hang out as a family and honor our father together. It would be a great place for a family reunion! The grounds are spectacular, the views amazing; we sat out by the fire pit and made Smores. The barn is steeped in history. A quick walk through it takes you back in time. Look closely at the walls... it's phenomenal. When here, you have to visit Young's Lobster Pound in Belfast... it's a classic! This is by far the best vacation rental we've ever done! Accesso diretto a Frye Montagna, centro di Belfast, Camden e Rockland, Maine shopping. Pemaquid faro. Penobscot Narrows Bridge e Fort Knox. We hope that you enjoy your stay in our home! Sheets and towels provided. Guests expected to launder what they use. Washing machine, dryer and soap on premises.